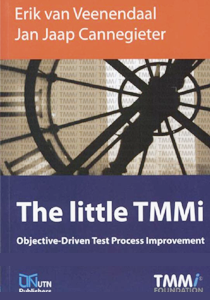 The Little TMMi – Objective-Driven Test Process Improvement provides practical support for organizations that aim at improving their test processes. TMMi is a non-for-profit independent test maturity model developed by the TMMi Foundation. Using TMMi organization can improve their test process en even have their test process or test organization accredited when it complies with the requirements. The most important differences between TMMi and other test improvement model are independence, compliance with international testing standards, the business-driven (objective-driven) orientation and the perfect match with the CMMI framework. The objective of The Little TMMi is to support (test) organizations in improving their test process, to expand the adoption of TMMi and to enhance the growth of the testing profession. The book is structured such that it is written for a broad target audience. It therefore needs to be part of the toolbox of everyone who needs visibility on maturity and quality of the test processes, or is involvement in assessing and/or improving test processes. 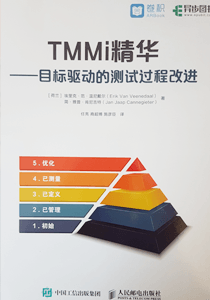 The book has been formally endorsed by the TMMi Foundation. a short and to the point overview of the TMMi model. detailed insight into the relationship between TMMi and CMMI. This book has also been published in Chinese language.